Amur or Siberian tiger is the largest sub-species of tiger and is primarily found in south-eastern Russia and northern China. In the 1960s it was close to extinction but its numbers recovered and are around 450 today. 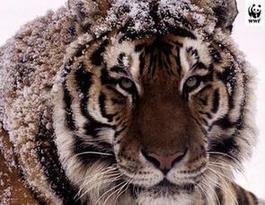 Poaching and habitat destruction once again push this tiger close to the edge. The Bengal tiger is found primarily in India with smaller populations in Bangladesh, Nepal, Bhutan, China and Burma. 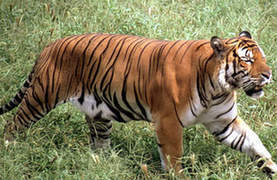 It is the most numerous of all tiger sub-species with around 1,850 left in the wild. 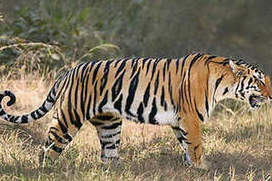 The creation of tiger reserves in the 1970s helped to stabilise numbers but poaching in recent years inside the reserves has once again put the Bengal tiger at risk. 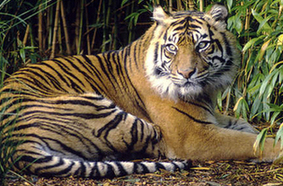 The rare Indochinese tiger is widely dispersed throughout six countries – Thailand, Cambodia, China, Lao PDR, Myanmar, and Vietnam. Although extensive habitat is available in some places, rapid development is fragmenting habitats and forcing tigers into scattered, small refuges. Poaching is also a threat. 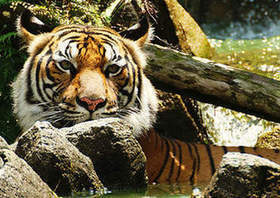 There are around 500 Malayan tigers living on the Malayan Peninsula in Thailand and Malaysia. This sub-species is threatened by human-wildlife conflict and loss of habitat due to forest conversion for agriculture and development. The WWF-Malaysia 'Tigers Alive!' project seeks to address these and other threats to the Malayan tiger. Following decades of extermination as a pest, the South China tiger has not been sighted in the wild for more than 25 years. Many scientists believe the subspecies is “functionally extinct”. A few individuals may remain, but hope for their survival is slim as there is neither adequate habitat nor prey left. The Sumatran tiger, numbering fewer than 400 individuals in the wild, is found exclusively on the Indonesian island of Sumatra, the last stronghold for tigers in Indonesia. Accelerating deforestation and rampant poaching across the Sumatran tiger's range mean that unless authorities enforce the law, this subspecies will soon follow the fate of its extinct Javan and Balinese relatives.